I shared my 'Winter Reading List' just today, with both A Christmas Carol (a reread) and Seven Days of Us featured on it. I hope you're able to enjoy some of these titles over the coming month. Greta list of books!! I liked the Delaney book and need to read the second in the series. Thayne does a great job with holiday books!! So many there that I want to read too. I love Winter Solstice too, so now I want to reread it also! The older I get the more important it is to get that shopping done early, or at least started in a timely manner lol. Which let's face it still means I'll be shopping in the final week! *sigh* but yes comforting Christmas reads are nice. These all look relaxing and fun, and I love the combination of Christmas and a mystery! I am always running around at the last minute at Christmas! I can't seem to do any better. I hope you enjoy all of your planned holiday reads! Oh I so loved this post, I want to get some good Holiday reads myself and I see quite a few I want to read myself! Since I am a Debbie Macomber fan, I have sent her a Christmas card for the past 2 yrs, and both times I have received a card with a teabag(which is excellent!!). 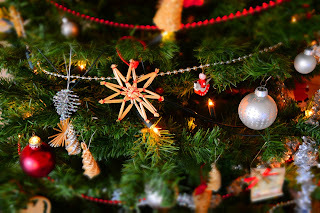 SO thank you for great book ideas-I love getting in the Christmas mood!http://thebestbasicblogger.blogspot.com/2017/11/fun-finds-friday.html! Ah some I want to read to, Nancy Naigle's is on my radar and is Seven Days of Us. I wouldn't mind a Thayne one on audio and I intend listening to many of Pilcher's books on audio when they publish on Audible. Winter Solstice was one of my favs. Happy reading! I loved Seven Days of Us and Snowflakes and Coffee Cakes. 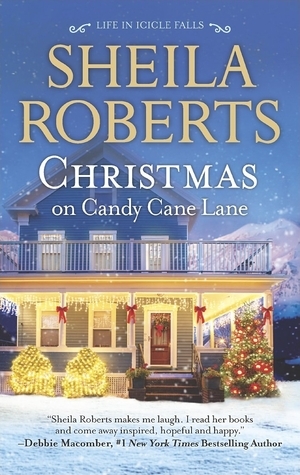 I've been wanting to read more of Macomber's Christmas books...and also RaeAnne Thayne's books. Thanks for sharing, and enjoy. I love A CHRISTMAS CAROL! It's the perfect holiday read. It's short, but compelling and heartwarming. The edition pictured is the one I have and it's beautiful. They all sound delightful. While I risk sounding a tad like Scrooge - I make a point of NOT reading Christmas books at Christmas as I read to escape...:). I hope you enjoy these seasonal reads, though. 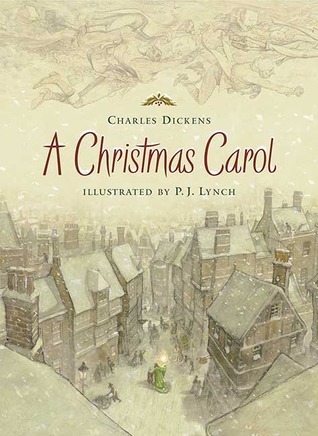 I read A Christmas Carol two years ago for the Ho Ho Ho read-a-thon and it was the only story I read that I liked. Ha ha. I am not good with Christmasy type reading, but I am going to be reading The Bear and the Nightingale and its sequel this year. They aren't Christmas stories, but everyone says they have that vibe. I love the sound of these! I've been wanting to overdose on Christmas reads and movies too. :-) I hope to reread A Christmas Carol this holiday season. It's one of my favorite stories. I don't think any of these are on my list to read this holiday season, but I will keep them handy for next year. I'm currently reading Hope at Christmas and I LOVE IT! It's a great pick. Enjoyed Snowflakes & Coffee Cakes as well as Joanne’s newest of her winter series Cardinal Cabin. I could just picture the town & characters & started my Christmas Spirit!